Please also share this with your friends and ask them to call! 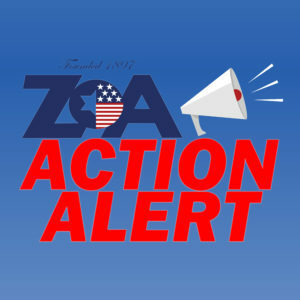 The House of Representatives is scheduled to vote tomorrow (Wednesday, March 6th) on a resolution condemning anti-Semitic comments. The resolution, written by the Democratic House majority, does not even mention Rep. Omar. 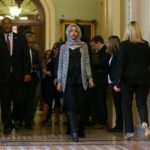 Despite a previous insincere apology, Rep. Omar has continued to use anti-Semitic language to criticize Israel and its supporters. Strong action must be taken, Non-binding non-specific resolutions are insufficient. Rep. Omar should face real punishment for her hateful comments. Only Speaker Pelosi has the authority to remove Rep. Omar from her committee assignment on the House Foreign Affairs Committee. The matter should also be referred to the House Committee on Standards of Official Conduct (the House Ethics Committee) which has the power to investigate Rep. Omar’s comments and to recommend that the House formally punish her, either through a reprimand, censure, or by removal from office. When a Republican member, Rep. Steve King (R-IA) made inappropriate comments, the Republican Leader, Kevin McCarthy, stripped Rep. King of all his committee assignments. Rep. Omar’s repeated offensive anti-Semitic comments deserve a comparable punishment. Your calls are very important! Thank you for taking the time to call your House Member and for all your help and dedication!